Thoughts on Machine Learning, Graphical Models, Clojure and DataScience. I bumped into Clojure's zipper data structure while trying to implement aMinimax algorithm for a game. There are some excellent resources on zippers, Brian's is a good introduction. Why should you use zippers? That's a good question, when you already have tree-seq in clojure/core. Tree-seq is good for navigating a tree, printing out its nodes. 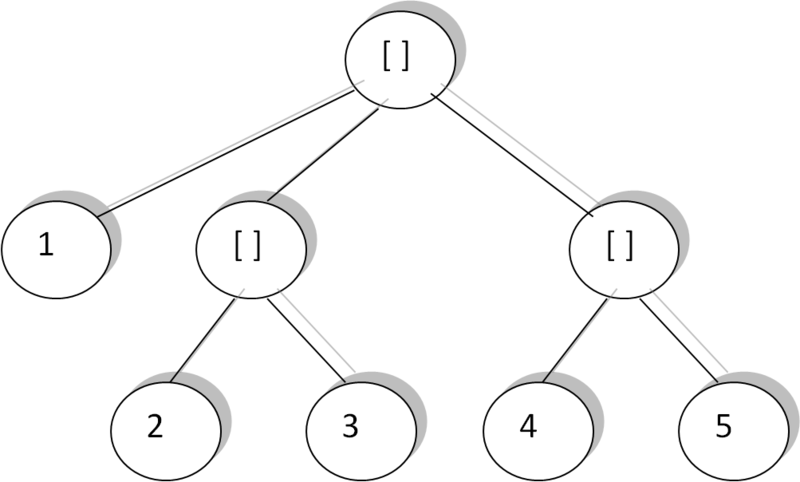 Zipper provide the ability to edit a tree, which tree-seq does not. A couple of things stumped me when I first encountered zippers. One of them is that a zipper declared with vector-zip doesn't have any content in a parent node. In other words, all the number elements of the following vector are leaf nodes. Since clojure is functional, each tree edit returns a new (copy of) tree. So the basic idea is, do some edits and call zip/root to get the root of the tree. Note that zip/root calls zip/node on the tree, so you need to create a zipper again if you want to traverse the edited tree.